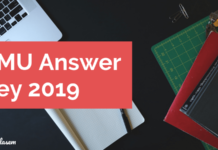 AMU Admit Card 2019 – Candidates can download AMU 2019 Admit Card for all the AMU entrance exams from this page. 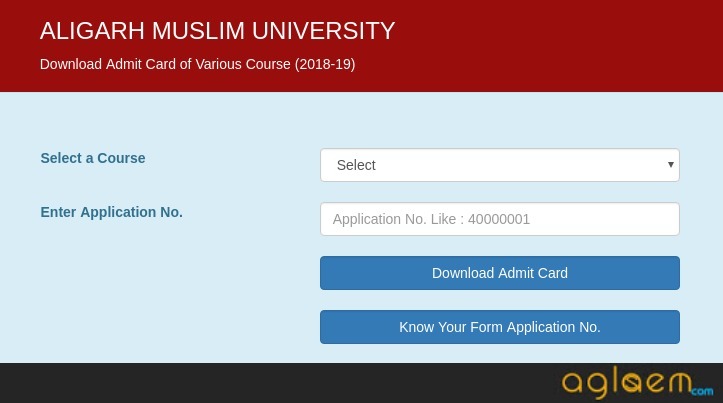 Aligarh Muslim University has started to release admit card for various courses, on amucontrollerexams.com. You can check and download AMU Admit Card from the table below. Course name and application number is needed to download it. The AMU 2019 Entrance Exams are starting for April 7 and will end of June 10, 2019. Candidates will have to carry the admit card on the exam day, along with a valid photo id proof. 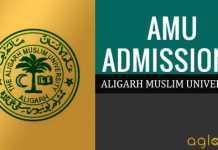 Check more details on AMU Admit Card 2019 from this page. 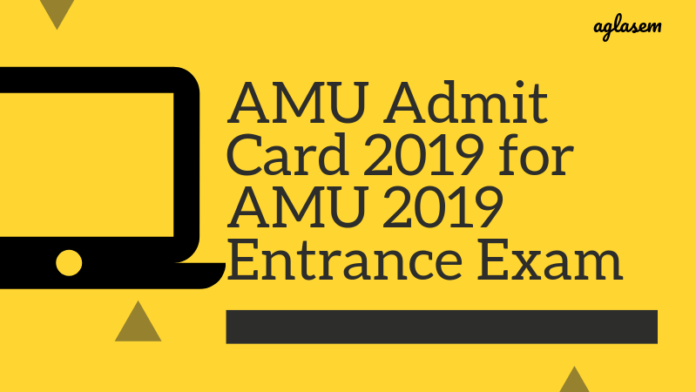 Latest: AMU 2019 Admit Card for B.Sc. (Hons), B.Com. (Hons) and B.A. (Hons) has been issued. Download it from the link below. Office of the Controller of Examinations, Aligarh Muslim University (AMU) looks after issuance of Admit card. It releases AMU admit card for each course on a separate date. The table below contains the date of exam announced by AMU and host the link to download admit card. B.Sc. (Hons.) 07 Apr 2019 Click Here – Released! B. Com. (Hons.) 07 Apr 2019 Click Here – Released! B.A. (Hons.) 07 Apr 2019 Click Here – Released! For Departmental Test courses, Admit Cards will not be posted/uploaded. The Admit Cards will be issued two days before the Test from the Office where the candidate had submitted his/her Application Form. Click on the link that shall be provided on this page. Enter Course and application number, in the provided space. Check and download the admit card of AMU 2019. After downloading the admit card, the candidates have to paste a passport size colour photograph on it, in the specified space. The photo should be the same as that uploaded in the application form of AMU 2019. The candidates will also have to carry one extra photograph (same one) to the exam hall. It will be required for pasting at the attendance sheet. Candidates will not be allowed to appear for the exam if they are unable to produce admit card or extra photograph. How to Retrieve Application Form No. Here, the candidates need to enter Course, Name, and Mothe’s Maiden Name and then the Transaction ID will appear on the screen. What to Do If AMU Admit Card is Not Issued? If the admit card has not been issued then the candidates can send an email at [email protected] While sending the email, the candidates need to mention the Transaction ID, Name, Telephone Number and the Courses. The candidate should ensure that he/she has in his / her possession the proper Admit Card before he/she reaches the Test Centre. The candidate should contact immediately the Office concerned where he/she submitted his/her Application Form in case of any discrepancy in the Admit Card in order to avoid any last minute inconvenience. University assumes no responsibility whatsoever in the event of failure to report on the due date and time by the candidate for appearing in the Admission / Departmental Test. The Admit Card shall be issued provisionally subject to the scrutiny of the eligibility. It is only after verification of the eligibility that the candidate would be considered for admission. Mere appearing or qualifying in the test does not entitle a candidate for selection/admission. Any discrepancy in the Admit Card, especially with regard to candidate’s particulars, must be brought to the notice of the Office concerned where the Application Form was submitted, by the candidate in writing before the commencement of the Test. Candidates are required to bring their own Stationary Items required to attempt the Test. Handbag / Carry bag/ Mobile phone/pager /calculator /any other electronic gadget or any paper (other than the Admit Card) shall not be allowed inside the Admission Test Hall/Room and the University shall not be responsible for its safekeeping. If a candidate is found in possession of any such item during the Test, he/she would be deemed to have used unfair means and may lead to cancellation of his/her candidature. Candidates can refer to the list of important books from below, to kick start their preparations in full swing! Below we have tried to answer some of the queries, that a candidate faces at the time of AMU Admissions. Q1. What is the reason that I have not received the AMU Admit card, even after having applied for its within stipulated time period.? Ans. It could possibly be due to some technical error or maybe you name falling under the rejected applications list. Candidates can clear the picture by firstly checking their names in the list. If not there, then drop an email to the authorities, regarding the same. Q2. What time around is the AMU Admit Card released? Ans. Tentatively, a week prior to the exam the admit cards are issued to all the applicants. Q3. 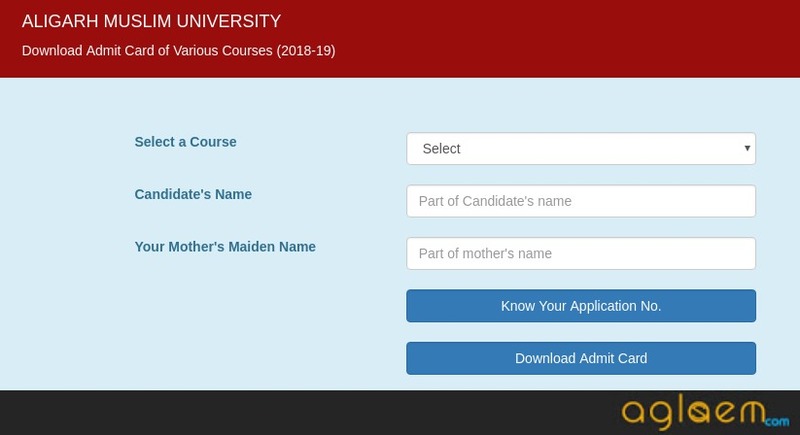 Do I need to send a copy of my online application to get the AMU 2019 Admit card? Ans. No. A candidate is issued the admit card without a copy sent to the authorities. Q4. I don’t have internet facility, can I get the AMU admit card in offline mode? Ans.No. Under no circumstances, a candidate will be sent the AMU admit card in offline mode. If a candidate doesn’t have a internet connection, he/she can visit the nearest cyber cafe and download their admit cards, as and when released. After having appeared for the entrance exam, a candidate can make use of the official answer key to crosscheck their responses. The answer keys are released by AMU on its official website, amucontrollerexams.com. For each set and for each course, the University releases the answer keys around first week of April. Candidates are invited to submit any errors, if found in a prescribed format within stipulated time period. An online portal is opened for this purpose and an additional charge is also applicable. They will be released soon. You will be updated here. When will the admit cards for class 11th ( science steam) will be released ?? Sir, when will be the admit card of class 11 SSSC is going to be issued. P.G. Dip. In Islamic Banking & Finance, B. Ed., B.A. (Hons. )Foreign Languages	, B.A.LL.B ARE RELEASED!! Bhai 1 may yak pakka aa jaega.. They released the admit cards on scheduled dates, which is a few weeks before the date of exam. Only those Candidate can get the admit card those who submitted their application form in a given time. What about BFA admit card??? Ca you provide as the application number..
My ques. Is MA urdu ka admit card issued ho gya kya ya agar nhi hua h to kbb ho jyega .. Aur sir agar ho gya to to abb woh kaise nikl skta h .. . The admit card for various courses have been released. You can download it from the link above. Once released you will be updated on this page. usme koi issue naahi hai app dusri photo bi lga skti ho admit card pe. Thank you so much…i have one more question…agar mere 30 to 40 ke beech marks aate hain, toh kya mai select ho skti hu in any course…??? Enter your comment here…sir/mam diploma in costume design and garment technology k admit card kB issue hongey? plz inform me sir..thank you..
Server down hain abhi thodi der m dobara download krna. Okay, we will update you on this. Btech admit card will be released soon. B.tech walo ka admit card abhi ni aaya. The admit card will be available 10 days prior to the exam date. So are expecting it around 12 May 2019. Abhi koi fix date naahi aayi hai. Yes surely we will update you on your mail. Admit card jldi ayega stay connected with us we will update you. 26 may hai exam date confirmed. Hi,, can you please tell me when M.A(english) entrance exam date and admit card will release.. It has not been officially announced yet but will be available in the 1st or 2nd week of May and the entrance exam will be in the month of June as per the reports fixed date has not been announced yet. Ba hons foreign language ka admit card release hogya? Admit card jldi release hoga. B tech k liye admit card kab release honge ? ?